These buildings form the focus point for the community and are normally run by trusted volunteers who are appointed onto a Management Committee by the local community. These people give an immense amount of time and effort in organising activities in these centres. They are from all types of backgrounds. Many of these buildings are old and need refurbishing but an increasing number are recently built or in the planning stage. It is very common for Soundsorba to received telephone calls or emails from Village and Community hall Trustees to say that they have a hall which suffers from terrible acoustics. The acoustic are so poor that users are not booking the hall and they are losing much needed revenue. As these Community Halls are self-funding and need to sustain themselves financially, such loss of booking revenue can cause difficulties. 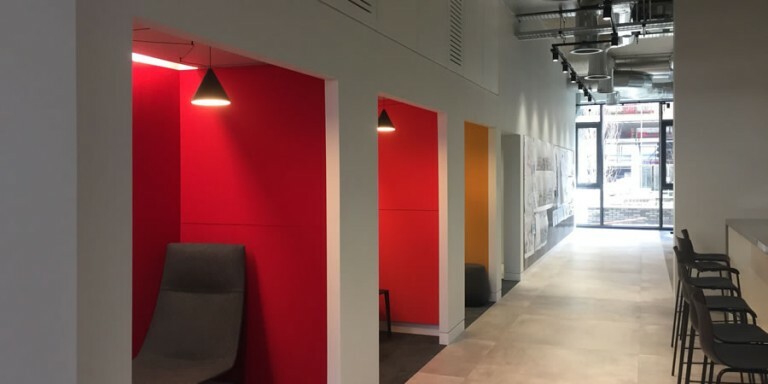 Soundsorba offer a free acoustic advice service including assessing the acoustics in your existing hall or meeting room and advising of the best solution to improve the acoustics in the hall or room to the level required to make the hall or room acoustically usable. Most Community Halls need to be able to run a host of different activities varying from Girl Guides and Boy Scouts groups to toddlers groups, barn dances, disco, community meetings, badminton, exercise classes ,etc . The standard community halls tend to have a hard floor covering such as timber or vinyl to allow easy cleaning and to be low maintenance. The same applies to the walls which are often painted blockwork or plastered. 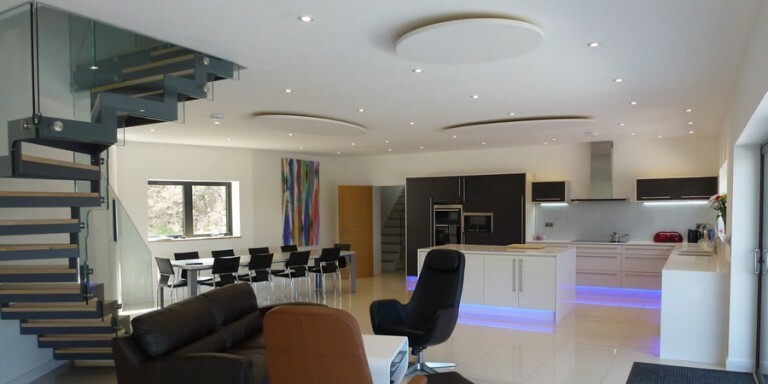 The ceiling can be an array of different materials such as plasterboard, steel cladding, timber cladding, etc. The walls are hard, the ceiling is hard as well as the floor. This leads to an amplification, of noise bouncing off these hard surfaces , when people start any activities in the hall. Communication is difficult as speech becomes garbled and difficult for decipher. Attempts to have children’s activities in the hall leads to headaches due to the high reverberant noise levels. It is normally impossible to have a meeting of more than a few people as the reverberation drowns the clarity of any speech. Having parties in the hall tends to be a nightmare due to the high noise levels. It is imperative to reduce the noise reverberation to make the hall usable and “fit for purpose” . Soundsorba’ s experience over many years in solving such problems put is as leaders in acoustic solutions for such spaces. Normally the floor cannot be touched as it needs to be mopped as it takes a lot of punishment from various uses. This leaves the ceilings and walls as the only areas where sound absorption can be applied. Where there is no likelihood of any impact damage than the cost effective solution is to fit Echosorba stick on acoustic panels to high level walls and/or ceilings. These are very cost effective as they are simply glue bonded to the wall or ceiling surfaces hence anyone can fit these. The ability to fit these yourselves is a great advantage financially as the cost of installation work is completely saved. Many Community Halls have people who are good with such work in their community and very often such people volunteer to fit these panels as they are as easy to fit, as the old polystyrene tiles used to be in the past. The Echosorba stick on panels are manufactured in the factory and pre-finished in a white speckled face with white edges. This allow the panels to be but jointed together or spaced apart as individual panels or in rows of panels. It may be possible to fit Cloudsorba suspended acoustic panels from the ceiling. These appear like “floating rafts in the sky” and add great visual appeal to a boring ceiling. These are hung using simple cable system. The advantage with this solution is that where there are a lot of services such as cables, pipes, etc on the ceiling , then these are ideal. They hide the existing ceiling ,which may be old and not looking great ,and bring glamour and a new look to the ceiling ! One of the activities which can be playing in community halls in badminton and soft ball games. The use of our Toughsorba robust acoustic panels is ideal for such use as it offers impact resistance from such footballs. The Toughsorba panels are just screw fixed to timber battens and its rustic face pattern gives a rich visual to the ceiling area. Normally available in “Natural” or “White” colour as standard which can be painted to your own preferred colour on site for small quantities. For larger quantities, a range of RAL colours are available. 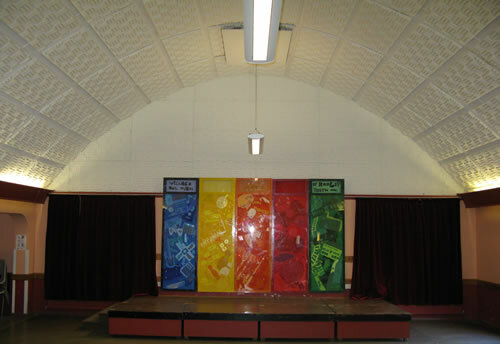 Some halls have relatively low walls and do not have space for sound absorbing panels. However many halls have high walls. On these , the Wallsorba acoustic wall panels are ideal at high level. These are fabric faced and available in a wide range of different colours. These are installed as a horizontal band around all four walls ( where possible ) to deaden the reverberation. A wide range of standard colours are available. The Bubblesorba acoustic panels are ideal for use in community rooms where you wish to introduce a design flair as well as improving the acoustics in the room. These come in different shapes and different colours. These different combinations can be used to form groups of patterns to give unique configurations. 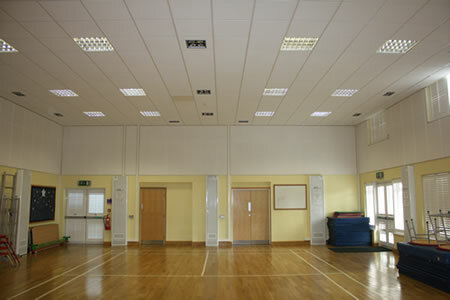 Just a few of the many Village Halls and Community organisations which have used Soundsorba acoustic panels. Soundsorba will be pleased to help solve your acoustic problems in your community Centre Hall. Contact us for free technical advice at info@soundsorba.com or on 01494 536888.